Wastewater is the mixture of liquid and solid materials that residents and businesses flush down toilets and empty down sinks and drains every day. This material travels through the Municipality’s sanitary sewer system to the Wastewater Treatment Plant which is designed to remove solids, chemicals and other undesirable materials in a reliable, cost-effective and environmentally sound way. Our treatment process ensures that the water released to the Rideau River meets or exceeds all provincial and federal standards. 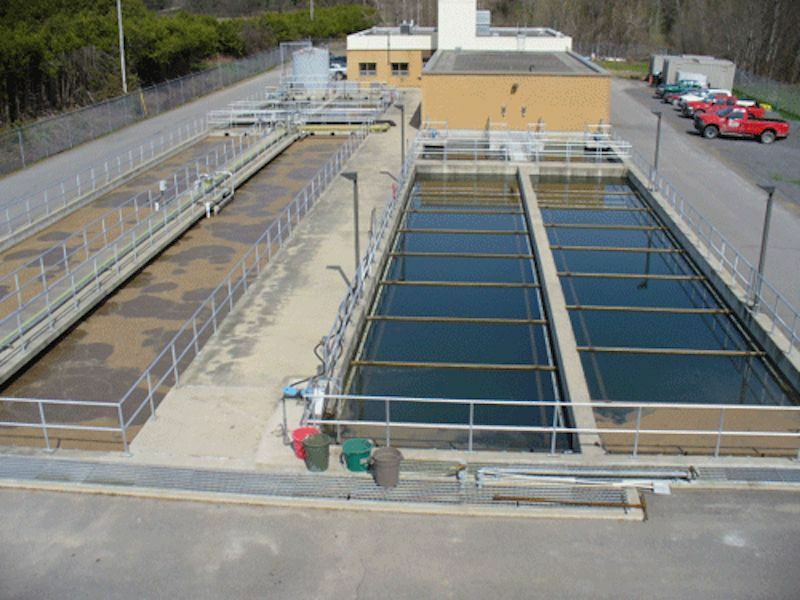 The Municipality of North Grenville operates a state-of-the-art waste water treatment plant that serves the historic Town of Kemptville as well as newer urban developments within the extended service area. The plant was constructed and commissioned in the 1990's and represents the newest in technological advancements as applied to the standard sludge digestion processes. The WWTP uses standard aerobic / anaerobic digestion based processes with final effluent being subjected to UV treatment (Ministry of the Environment Level 4 Assessment) before discharging cleaned waters in the Rideau River some three kilometers away. The plant’s average day capacity is established at approximately 4,500 cubic meters per day (average flow) and currently operates below legislated capacity. The Municipality has a program of fertilizing and soil conditioning local lands with sludge by-product that is available to qualified agricultural operations within Municipal boundaries. Those interested in participating in the program are encouraged to call the Water & Wastewater Division at 613-258-9569 ext.120. Sludge produced at this plant has a very high water content and is fully digested, having only a very limited smell during or immediately after application. Those with questions should call the plant operator to talk about the service. Where do fat, oil, and grease come from? They often are a result of cooking and can be found in meats, fats, lards, cooking oil, shortening, butter and margarine, food scraps, baking goods, sauces, salad dressings and dairy products. The overflow of raw sewage into your home, business or neighbouring property, causing basement flooding and an expensive and unpleasant clean-up. A raw sewage overflow into parks, yards, streets, creeks and rivers. An increase in operation and maintenance costs to clean and repair damaged sewer pipes. What can you do to help prevent sewer system blockages? DO put basket/strainers into sink drains to catch food scraps and other solids. Empty the drain basket/strainer into the garbage. What should you do with your fat, oil and grease? Let the grease cool and harden, then scrape it and food scraps from trays, plates, pots and pans, utensils, grills, and cooking surfaces into your garbage.